A warning that this post is longer than my Voyage posts typically are but that’s because so much happened! And so many pictures were taken! And I want to share all of that with you! So let’s get through a quick preface before you get to the good stuff. This was an adventure literally 5 years in the making. Since we met, my best friend Robin and I have been wanting to go down to New Orleans, Louisiana. Last weekend we finally made the jump and road tripped from my newfound home in North Carolina to spend a few days in the French Quarter. 10+ hours, each way. 700+ miles, each way. Too many mixed CDs to actually count, each way. And quite a lot of new experiences in between. Enjoy! We left as early as the two of us could conceivably manage on Thursday morning and landed down in New Orleans around 7pm, after a very comical scene about an hour out which featured Robin and I running from giant killer wasps at a gas station in Mississippi while also trying to check mystery tire pressure levels. Let’s just say it was an unpleasant experience and it culminated in us deciding to push on in hope that the tiny little dashboard light would cut us some slack. It did. After checking in at the French Market Inn, which is a beautiful little inn right on the edge of the river side of the French Quarter (I’m assuming that you could have assumed that from the name but I wanted to be really thorough with you, dear reader), we hit the streets! Mostly tired but also a little hungry, we went for a walk around our immediate surroundings in search of sustenance and happened to catch some cool sights as the sun was going down. I have a real love for wrought iron and the gates lining Jackson Square a few blocks down from where we were staying happened to play right into that! Stay tuned for a lot of pictures of porches, another architectural soft spot of mine. This particular one seemed oh so beautiful in contrast to the massive law-oriented, courthouse-type building behind it. And another view of Jackson Square (that brass man hanging out on his brass horse is none other than Andrew Jackson himself, go figure) and the St. Louis Cathedral at sunset. After many shuffle, stop, read the menu, shuffle on, repeat scenarios we finally settled on grabbing a quick bite at Pierre Maspero’s. Despite having grown up on an island, I’m not the biggest fan of seafood, so I was a little hesitant about food options down in New Orleans. However, I’ve also recently become more ambitious in trying new foods so I was motivated to really give the southern creole cuisine a shot. As long as french fries were also on the menu. That being said, Robin and I ordered a Crescent City Sampler to split, comprised of Cajun Jambalaya, Crawfish Etouffée, and Chicken & Andouille Gumbo. We wanted to try all of these things throughout the weekend and now we could knock them all out in one go so it was perfect! I highly recommend this game plan if you’re like me and had never tried this kind of cuisine before because it was a huge help to figure out what I could actually handle without having to waste a whole entrée sized portion. For example the Etouffée was definitely not for me, but I couldn’t get enough of the Jambalaya. Also tried: fried green tomatoes (yum!) and sweet potato stout (wish it had been just normal potato stout but also, yum!). After using the night before to plan out all of the things we wanted to do, Friday became a pretty big day for us. As soon as we woke up and got ourselves dressed for the day, we set out in fear of thunderstorms and stopped for cheesy tourist ponchos before heading across the street to try another New Orleans famed dish: beignets! Pronounced “ben-yays,” not bayg-nets… you’re in the French Quarter, people! C’mon! The very touristy spot to try beignets, but obviously a must for first-timers like myself. I’m sure there are other cute cafes to enjoy the deliciously New Orleans fried dough treat, so let me know if you know of any! As the skies opened up on us, the outdoor (but sheltered from the downpour) terrace area of Cafe Du Monde became extremely crowded. The rain was a nice little cool down, but still not cool enough for us to order hot coffees with our breakfast. Robin and I made the mistake of thinking that we each needed an order of beignets. Trust me, we didn’t. They’re a sweet treat but they’re also super thick dough so they can really fill you up quickly. We also went with the iced cafe au laits, which if you’re used to black coffee like me I do not recommend. In case you didn’t know, lait means milk in French and in New Orleans it means a lot of it. After finishing up our breakfast we went back across the street to visit the St. Louis Cathedral, which is the oldest cathedral in North America! According to a woman who worked inside, the artwork on the ceiling was a major part of historians being able to date the construction of the Cathedral way back to the late 1700s/early 1800s. This place has seen some tragedy, so I recommend taking a look through the history if you’re interested. It was absolutely beautiful to meander through. We sat for a moment of quiet contemplation and then got back to business: unknowingly making our trips religiously oriented historical escapades, we decided to go visit the Old Ursuline Convent next. Leaving the convent, we walked the eastern residential streets of the French Quarter to gaze upon some beautifully colored New Orleans-style homes. So many porches! Bourbon Street! In the day time, from the residential end. As we made our way towards the Wax Museum, our next planned destination, we became increasingly aware of the rapidly approaching (and quite threatening looking) grey clouds trailing behind us. Unfortunately, the Wax Museum was closed! And sure enough little tiny drops of rain started to fall faster and faster as we figured that out. Robin looked up the closest cafe, where we could sit and form a game plan, and so we ended up at Cafe Conti. I was lucky enough to get the last of the Strawberry Basil Lemonade and it was… wordlessly good. Can’t wait to try making that at home. After a little more adventuring around the riverbanks and a quick stop at the hotel, we were on to the evening phase of our day. The calm before the Ghost & Vampire walking tour! Look at the size of that bird! He did not appreciate my picture taking. We arrived a little early and decided to stroll through Louis Armstrong Park across the street for a few minutes. A super cool location with all sorts of fun bridges and structures and art work to admire, all in tribute to the jazz culture of New Orleans. As the clock struck 7pm, we crossed back over to the Voodoo Lounge – the walking tour meeting spot. We were still early so we took advantage of the two-for-one Hurricane deal and parked ourselves at the bar. Let me say this, I freaking love this place. I honestly could have moved to New Orleans just so I could become a regular at this particular dive bar (and yes, they self identify as a dive bar on their Facebook page). While we were there, we listened to an awesome playlist (featuring ditties like ‘Lips Like Sugar’ by Echo & The Bunnymen and ‘White Lies’ by Max Frost) and learned that the bearded bartending fella, Houla, has a pretty good movie and book stash going on. ‘City of Lost Children’ was on the screen (with a few other creepy scaries stacked up behind the counter) and a handful of enticingly titled books lined the window behind us. As Robin and I flipped through the book on interesting facts and myths, Houla told us that he used to have a comprehensive Vampire lore book… but it got stolen… and I then proceeded to get very upset. It was time for the tour to start so we carted our drinks out to meet our guide Ducky on the pavement. We booked our walking tours with a company called French Quarter Phantoms and I am telling you right now: they were so fun. 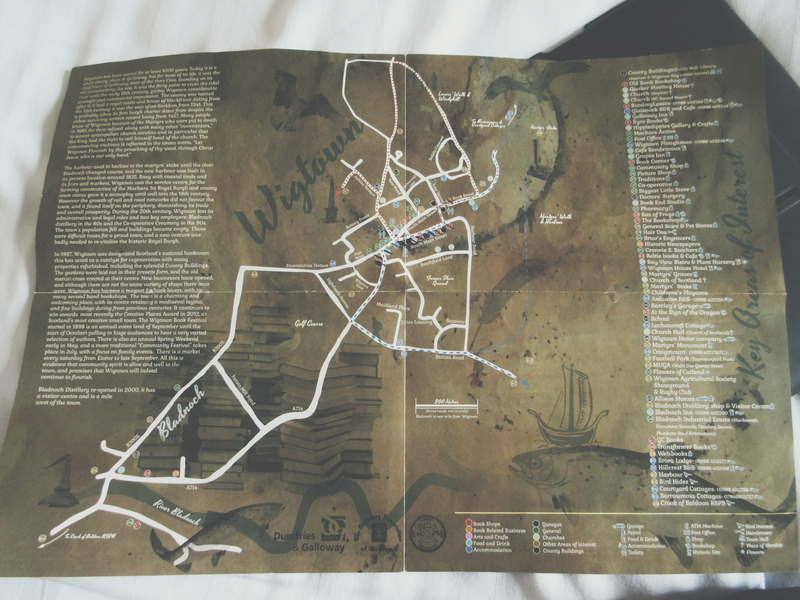 If you’re interested in cool creepy walking tours with amazing guides, definitely book with this place. Hanging out in the Voodoo Lounge was enough to set me off on the right foot but Ducky knocked the experience up a few pegs and well, we just had a really great time! I won’t spoil any of the stories but I will tell you that I was inducted into the Undead Society (and am patiently awaiting my official cape and laminated membership card) and Robin and I discovered that that Ursuline Convent we walked around earlier in the day? Yeah, big spot for New Orleans Vampire lore. See that hoard of people walking towards the building on the right? Yeah, notice how I was not one of them. Allegedly all sorts of crazy creepy things have happened to people in and around this building (American Horror Story Coven, anyone? Delphine LaLaurie… enough said) so Robin and I weren’t taking any chances. The weird light streak that later showed up on this photo proved we had the right idea. And then we went to Bourbon Street! And returned home to sleep with the light on and music playing all night long because we were afraid of all the stories we heard on our Ghost & Vampire tour. Two grown girls, very much decided on the fact that they were probably going to be hunted out by vampires in the night. Well, turns out we weren’t. And the big event of our Saturday can be described in two words: cemetery tour. But first, breakfast. We decided to go back to Cafe Conti because when we had ducked in to avoid the rain we perused the menu and the crêpe selection really caught our eyes. Definitely worth it; the coffee was fantastic and the food was exactly what we needed to carb up for the day ahead. By the time we finished we had a little bit of time left before the cemetery tour we booked so we went back to Louis Armstrong Park to relax and chat for a while. I freaking love cool trees. This one happened to have what looked like a ton of mini trees growing on top of the bowed branch. As I took out my camera I said “I’m gonna take a picture of that tree” and without missing a beat Robin said “I know you are.” Because I love cool trees. And I make that very evident. We chose to book our cemetery tour with French Quarter Phantoms again because, like I said, they were so good! These guys really are expert story tellers and what’s more, you actually get the feeling that they really enjoy their jobs. This time around we were matched up with Robert, though Ducky also noticed us from the night before and said hello! Pro-tip: do the Ghost & Vampire tour at the latest available time slot and the cemetery tour at the earliest. I’m talking about heat comfort here, people. Robert explaining the style of New Orleans cemeteries to us: as you can see the tombs are above ground and come in many different designs. Highly recommend looking up this style of burial because it is absolutely nuts. It’s like a burial-cremation combo. The general guesstimate is around 100,000 people lying at rest in this small cemetery alone. St. Louis Cemetery #1 happens to be home to a lot of cool people spanning all periods of history: Homer Plessy (from Plessy vs. Ferguson), Marie Laveau (the Voodoo Queen, allegedly but not confirmed buried here), the future dead Nicholas Cage (you know who I’m talking about), and a bunch of other really interesting people. One of my favorite tombs, not pictured, was the one with the blue jazz note on top, literally called the Musicians Tomb, where musicians without a burial spot can be interred. After the tour we stopped for some drinks to cool down then went in search of the St. Charles Ave trolley/streetcar. The Garden District bordering the French Quarter seemed like a beautiful sightseeing opportunity but let me tell you, for those of us not used to this heat and humidity walking around can get exhausting pretty quickly! We wanted to see the famous beautiful houses but weren’t about to amble up and down the streets so we hopped on a streetcar at the corner of Canal and Carondelet to swing down the length of St. Charles Ave for us. Highly recommend for those of you without a lot of time and with a desire to sit back and watch the pretty scenery go by. I like to think we got the general gist of the Garden District. This chateau reminded me so much of the sights in my own hometown of Newport, RI! It looks very similar to some of the historic mansions we’ve got lining Bellevue Avenue. A lot of the trees were absolutely covered in Mardi Gras beads, which I can’t decide how I feel about yet. They look so cool, but I can’t help but wonder how the trees fare. Relaxing at the hotel for a little bit to work up our appetites was next on our list, then we were out in search of boiled crawfish. I was absolutely adamant about trying them because come on, where else are you going to want to enjoy (or not enjoy, but still try!) boiled crawfish than in Louisiana? Literally no where! So we did it, and it went much better than expected. I actually liked them! They look positively traumatizing, and I still can’t believe that so little of them is actually eaten, but we ate this whole thing! I will admit that we watched YouTube videos to teach us how it’s correctly done. Robin’s first attempt: looking confident! We conquered the crawfish and got ourselves some delicious fudge on the walk back as a reward for our triumphs, falling into bed happily sunned and full of food in anticipation of yet another early rising, long day of driving. On our last day, we woke up relatively early (again) and decided to take one last crack at the Café Du Monde beignets before hitting the road. This time we learned our lesson and split an order. We even picked up some of their famous Coffee and Chicory (remember when I attempted to make something like that?) as a souvenir. By the time we got back to the hotel and finished up our powdered sugar coated treats, the car had been pulled ’round and we were ready to hit the road! It was a long weekend, this is a long post, but I hope I conveyed just how much I absolutely loved every minute spent in The Big Easy. Have you ever been to New Orleans? Are you planning on going? What’s on your list that we may have missed out on? Because I definitely plan on going back. 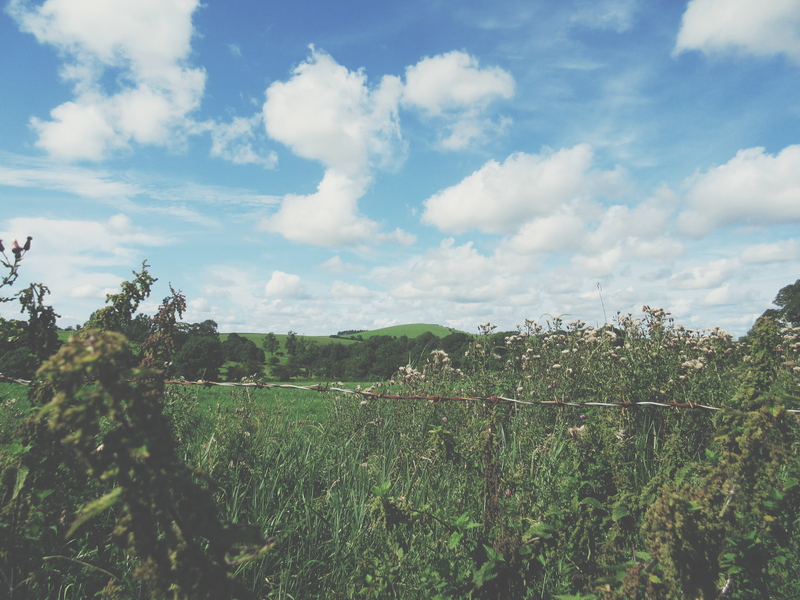 The local West Corkonians joke about how everyone is always ready to talk about the weather here, but I love it and I feel like I fit right in with it so – allow me to tell you (mostly via showing you) about the beautiful Sunday afternoon I had wandering around the estate a few weeks ago. The first thing I saw when I set off on my adventure was that the sheep had been moved from one of the back fields to the front field! I munched on an apple as I walked alongside them, so it almost felt like we were having lunch together. I assume all of them are named Shaun. They’ve since been moved around again to prepare for lambing. Vitamin D was in full force and I couldn’t get enough of it. I tried to keep the sun on my person at all times, but it gets a little difficult in the dense woodland areas so a reflection had to suffice. Another lesson I’ve learned over the years is to always turn around. Oftentimes when we set off in a direction, we pursue that specific direction until we reach where we’re going. If I’m out for a leisurely stroll I like to look all around me – upwards, sideways, backwards, etc. I probably appear to others as a crazy person but it’s worth it. Looking backwards in my less travelled haven gave me this blue-skied beautiful contrast of wild grasses. As I reached the edge of said wild grasses, I found a little beach-like area leading towards the water. At first I thought “cool! I’ll make my way down there as carefully as I can so as to leave whatever habitats might be around undisturbed!” Wrong. Just like on the opposite side of the island I immediately started to sink into the muddy banks and left quite the trail behind me. As the water was still a ways off, I turned back rather than risk being sunk up to my elbows. Isn’t this place just swell? Beautiful beautiful, and moments before taking this picture I spied a fox run off into the sanctuary of the bushes in front of me. Never had I ever seen fur that bright red, in fact never had I ever seen a fox in person before and I’m still kicking myself for not catching it on camera. Than again, can I really complain about getting to soak in this view with my very own eyeballs for a few seconds longer? This bridge to get onto the island is an actual architectural marvel. Believe you me, I’ve had my moments of shaking my head and saying “they just don’t make them like that anymore” on several occasions and each time I get laughed at for being an absolute baby child who has no concept of what being old even is. But it’s respected that I respect it, and that’s all that I can ask for. Rad to the highest degree, that’s what I dub this bridge. The Cassie of 4 weeks ago: look at this GIANT tree! The Cassie of now: look at this Monterey Cypress! Another member of the wicked-old-tree-family collection here on Inish Beg, situated just at the end of Rad Bridge. This big guy is actually my tried and true favorite tree on the estate because I spent my first day planting hedge alongside him. I’ve actually started calling the Monterey Cypress trees “Armadillo trees” because they have fascinating nuts that look like a cross between a Poke Ball and an Armadillo. These things find their way all over the island and they’re surprisingly hard to pull into bits. I swear I’m an adult and not a 4 year old. I swear. Couldn’t help myself with a little behind-the-scenes selfie in the front garden fountain. Also, my mom made this beanie for me, so can I call myself a hipster yet? Bonus content: that good old Irish weather hair frizz I’ve got going on. And finally right back to where I started: the marvelously marvelous (ace use of adjectives there, Cass) – Inish Beg House. Note: Remember back in the good old days when you’d have to avoid a lot of images on a web page because loading them with dial-up was a nightmare? I wanted to warn you just in case you’re not all initiated into decent wi-fi / 4s / 1080p horsepower or whatever the heck the good internet is these days. This post is extremely photo heavy because I’m combining two voyages into one so sorry not sorry (just reminiscent) about it. Saturday mornings in Skibbereen are starting to become a routine for me and I’m for sure going to miss them when I’m gone. I love every second I spend in the quaint little market town, which apparently confuses some of the locals who don’t see much to do there, but I’ve only got a short window of time left to enjoy it. This particular Saturday before last was a cold one. The rain had been at it all night long and I was sure it was never going to let up. Shortly after being dropped off in the earlier AM hours, I made the commitment to stay indoors and read for as long as possible until moving on to outdoor adventures in the afternoon. At one point in the midmorning I overheard a waitress saying to a nearby couple “’tis cold, but ’tis jolly” and I decided that never in a million years could I have come up with a better depiction of Skibbereen on a late February morning than that. A few people told me to check out this Church-turned-Restaurant, for aesthetic reasons at the very least, and I was definitely not disappointed. The place was buzzing despite the early hour. Anecdote: I have a terrible habit of not being able to tune out other people around me when I’m trying to read in public places (like cafes) and at one point I overheard the man at the table next to me saying “something about the way they burn the barley makes it neutral… so you can have as much Guinness as you like… that’s what my doctor told me.” I’m not sure who that doctor is, but I’m going to go ahead and rely on that advice which I don’t fully understand (as I do with most doctors) because YUM. Take a peep at the interior of Church Restaurant. I could not get over the fact that the cakes and baked goods were all laid out on the altar. Talk about a religion I want to be a part of. After some breakfast I went to scout out the local book shop. I mean, come on do I even need to explain why? 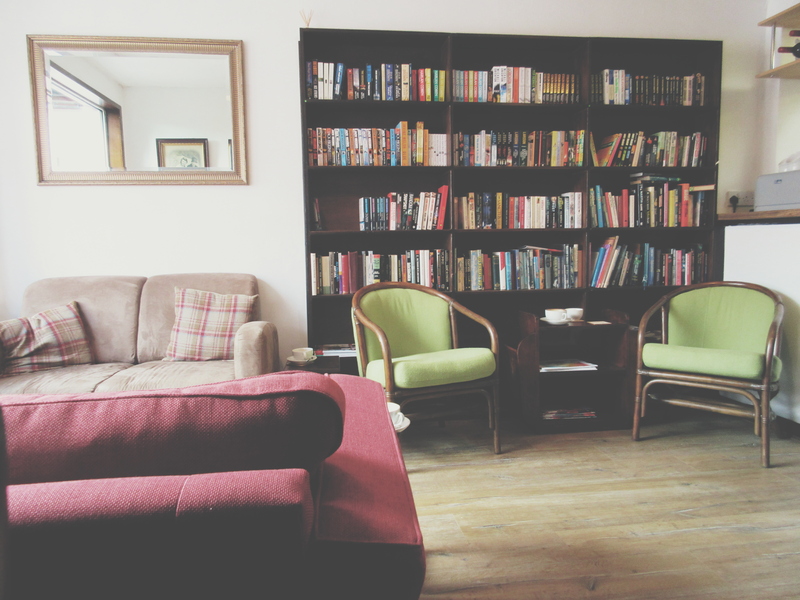 There’s just something about wood and books that makes for an intimately relaxed feel. 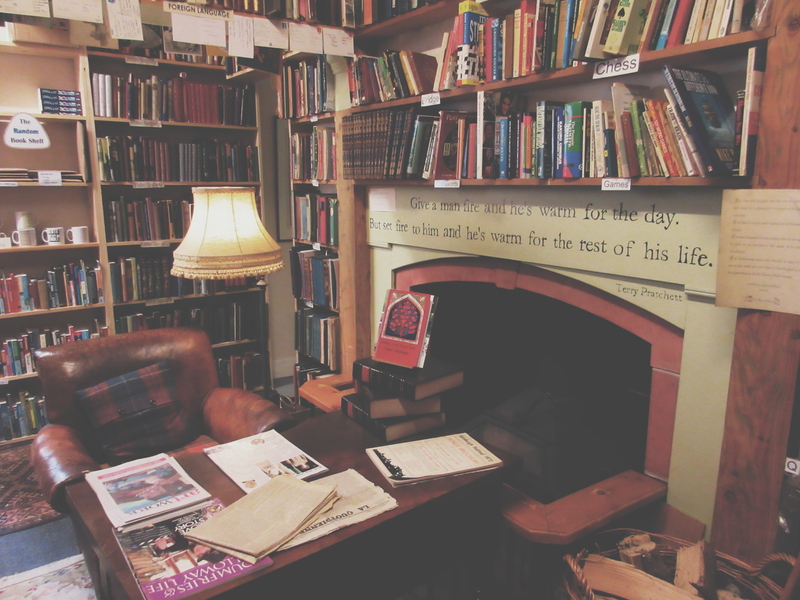 That very feeling here at The Time Traveller’s Bookshop was what enticed me to spend well over an hour perusing the shelves. I even got to hold a first edition copy of “David Copperfield” and subsequently tried very hard not to hyperventilate on it. Seriously considering leaving all my clothes behind at the end of my trip in favor of filling my case with these rare beauties. I’m gonna go ahead and make a generalization that a lot of people don’t know that Skibbereen played a huge part in The Great Potato Famine of the 1840s. I was one of those people until Paul, my host, kindly told me a lot more information on the subject (and gave me a great book to read about it). 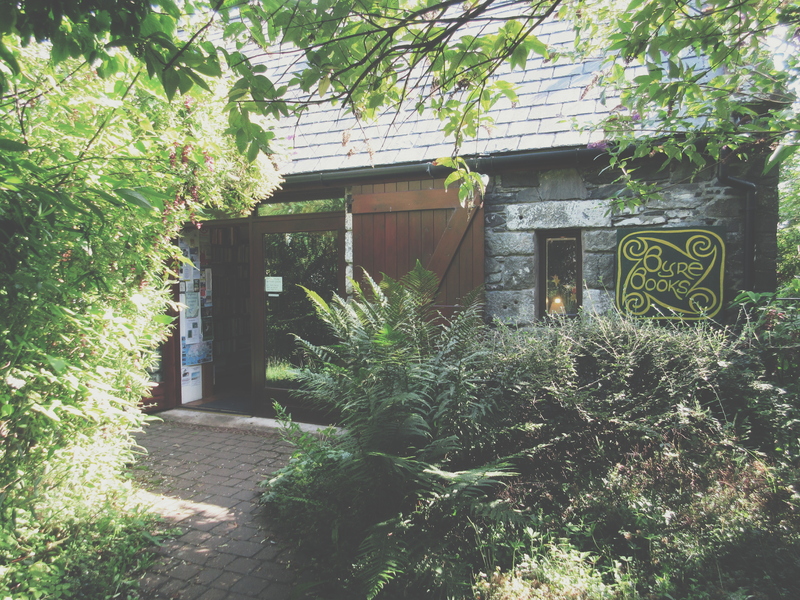 The Heritage Centre features all sorts of resources about the Great Famine years, the marine marvel that is Lough Hyne, and tracing family trees. Kalbos Cafe is situated between the West Cork Art Centre and a tiny little body of water flowing down into the larger river which Google Maps is not providing me with the name of. The huge glass windows looking outside were very cool and the cafe itself had a really great, cozy interior style. There is an adjoining deck and I’m betting that all the glass windows open right up to let patrons enjoy the, what I assume to be infrequent, sunshine in the summer. 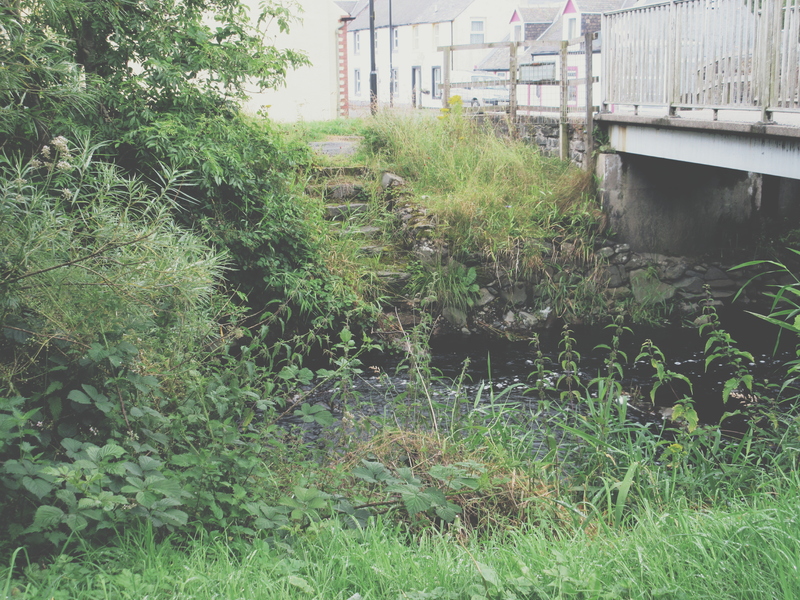 Later in the afternoon, after a few too many cups of coffee, I met up with Tony from Inish Beg and we set off to check out some of the local attractions outside of the Skibbereen town center. Thankfully the rain had in fact let up a bit, but the cold was still lingering. We braved through it though. First stop, Lough Hyne. Another Wild Atlantic Way sign! And this one happens to be situated at the site of the only salt-water lake (“Lough”) in Ireland. Word on the street is that its fascinating ecosystems and marine life make it one of the most studied bodies of water in the world. My hostess Georgie, ever the superwoman, swims at Lough Hyne pretty much all year round. We were visiting the Lough at a beautiful close-to-sunset hour and the lighting was breathtakingly reflective. Upon review, most of my pictures were just of the water’s surface. Way off in the distance down that little channel is the area known as “The Rapids” – aka the place where the salt water flows in and out from the Atlantic Ocean. Not really sure that I have to clarify how peaceful of a place Lough Hyne is, but I will just in case. Holy wells apparently exist all over Ireland and some quick Google searching has told me that they were of Pagan origin before becoming mostly Christianized way back when. Regardless, there is one nestled back in the trees by a freshwater brook close to Lough Hyne and we took a little hike to seek it out. Many people consider the wells to be sacred and spiritual so they come to pray or make wishes or leave offerings, etc. etc. This one happened to be my favorite because come on, you’ve seen my sidebar. I agree that a nice cold Bud Heavy in a frosted glass bottle can feel like a religious experience. Suffice it to say, I took a drink from the well hoping it was filled with the King of Beers but unfortunately it was just water. After marveling at the Lough one last time, we set off for Baltimore. You might remember my mentioning how the island of Inish Beg is situated between two towns so it was only fitting that Baltimore receive ample exploration time as well. Much smaller than Skibbereen, but in some ways I thought more beautiful. We drove over a few hills to get to Baltimore and had to weave our way down towards the water before hairpinning back up to the cliffs on the outskirts. As we arrived into town you could just spot the harbor ahead. The hike up the cliffs was sufficiently terrifying and I relied on my zoom to get me as close as I wanted to the edge, while staying physically very very far away. The water and the wind and the cliffs made for such incredible scenery. Fresh sea air unfortunately not included with this photograph. This is The Beacon! The very thing we hiked up to see! They don’t mess around when it comes to naming things, these West Corkers (Corkians? Cortians? … *Googles* … “Corkonians” – I wasn’t far off). They stick with the practical: The Baltimore Beacon was (and still is?) meant to guide ships into the harbour. This picture doesn’t do the size justice, but this thing is huge. ~50 ft high huge. Another thing I couldn’t get over was the turquoise water, even though it was so cold! And February! I’m used to seeing dark blue borderline black waters in the wintertime Atlantic Ocean but here it looked almost tropical. Not quite enticing enough for cliff diving, but close. Tony is the Head Gardener at Inish Beg and we spend a few days a week working together around the estate. He was a good sport about hiking around in the cold with me! Even though he was in Converses and I had on the hiking boots, he was able to climb back down the muddy slopes way faster than I could ever hope to. Can you tell from the outfit (hint: mine was even MORE bundled) how that water is in no way, shape, or form tropical? Andddd another Wild Atlantic Way sign. There are tons of islands that people can get to in this part of Ireland and a ferry waits patiently in the harbour to usher around to each of them. My being prone to seasickness and overall aversion to being out on the water in the winter does not make me a good candidate for the experience but it’s cool to know that it happens! As we were leaving and the sun was tucking in for the night, I couldn’t help but be struck by the resemblance the empty Baltimore Harbour had to my own hometown and more specifically to the stretch of water right down the street from my house. Seeing this some might think of homesickness, but for me it was more like a fond reminder. Adventuring around the localities was a day well spent and, as per usual on my travels, now that I’ve finally started feeling comfortable I have to prepare to say my goodbyes sooner than I’d like. A few more short weeks of huddling with my tea and cake in the Skibbereen coffee shops, then it’s back home to my little Rhode Island reminder of Baltimore. Special shout out to Tony, Paul, and Georgie for their excellent West Corkonian benignity! It was Christmas Day. 2006. I unwrapped a gift from a dear aunt of mine and found a framed picture of a sign for a highway called Kancamagus. My fascination with this mountainous region of New Hampshire developed a few months prior, when I forced her to take the very picture I held in my hand. Fast forward to the present day and that framed picture is hanging just above me where I sit writing this, on the wall of my college dorm room. Those middle years saw my fascination grow beyond the name (which apparently has been incorrectly pronounced by my family as Kangamangus – I know, sounds way cooler so I’m keeping it). The more I thought about it, the more I realized that I couldn’t remember ever spending real time in the natural surroundings of the Kancamagus Highway, even though we drove up and down it a lot throughout my childhood. Now, not remembering it isn’t saying that it never happened (my memory is absolutely terrible), but still – I only had the faintest recalls of those car rides. Naturally, adolescent Cassie was too busy with her Game Boy and books in the backseat to admire the outdoors. With my impending move down south, I’ve become increasingly aware of the fact that my time with having all of New England at my fingertips is running out. The White Mountains region that holds the sign in the photograph deserved a respectful send-off, full of admiration and devoid of Pokemon Sapphire Version. A beautiful cloudscape greeted me outside my bedroom window on the day of my journey, which made waking up at the early hour a little more tolerable. My hometown by the sea is stunning in those A.M. single digits. When I left first thing, I had a difficult time keeping my eyes on the New Hampshire prize instead of on the beckoning beach. The rain started shortly after I crossed the border into Massachusetts and my windshield wasn’t the only thing it dampened. Despite the amazingly bad old mixed CDs I haven’t listened to since high school (Track 1 – Drake, Track 2 – Phil Collins, Track 3 – Marky Mark, Track 4 – 3OH!3… case all the way closed), the weather really bummed me out. As the drops grew heavier, I started to feel more discouraged about my adventures. Crossing the border into New Hampshire lifted the rainfall and my spirits with the anticipation of seeing mountains. I wouldn’t call myself outdoorsy, but I love being outside and I’m awed as heck by nature – especially mountains. My body has this natural response to being close to them that my best friend and I jokingly refer to as a vibe. That vibe gives me such an energy that I feel like I could Fred Flintstone my way up to the nearest peak. Naturally, visiting White Mountain Coffee in the capital city of Concord, NH motivated me to spend some time in the namesake region. One of the highlights of this journey was navigating myself up to Concord without a GPS (isn’t it sad that doing something without the assistance of technology is so exciting to me?) Try it out next time you take a relatively short distance trip. Instead of being concerned with how many miles are left until the Garmin gives you a reminder of the next step in the directions, pay better attention to the road signs. It’s one of those circumstances that literally allows you to focus on the journey rather than the destination. With my newfound attention to signage came seeing the names of other places that sounded interesting enough to make me want to come back and visit them some day. Most notably, I passed a sign for a Robert Frost Farm somewhere along I-93 and got so instinctually excited that I almost swerved my little blue VW off-road. Maybe I need to start planning a landmarks-of-authors-inspired-by-New-England voyage? A wild beetle appeared between the trees. My trusty companion, Linus, hasn’t had a trip like this in ages. I think his emerging-from-hibernation engine loved cruising the long winding roads more than I did. Upon arrival in Lincoln, NH I made the game plan to drive straight along the whole thing first and make mental notes of places to stop on my way back. That lasted for all of 5 minutes until I noticed what felt like a familiar roadside inlet. Kancamagus Highway is peppered with stop-off points, ranging from actual National Park areas for picnics or hiking trails to a few yards of dirt and gravel that have been habitually worn down thanks to dozens of others noticing the not so organized and official opportunities. Since my “drive first, stop later” plan completely fell to bits I found myself wishing I had allocated more time to explore. I only spent a moment or so in every place I pulled over before jumping back into the car and continuing on my way. My boots were not conducive to any sort of hiking – but I’m happy to say I emerged with only a handful of minor stumbles over tree roots. As far as foliage viewing is concerned, my arrival to the White Mountains was inopportune. A month or so earlier and I probably would have seen the trees in all their golden glory. Instead, I was there for the in-between phase. Most of the trees were skeletal, with the exception of the conifers (I have absolutely no idea which kind of conifer they were so go right ahead and skip over that question). Deadened leaves lay dried out at my feet, swept into piles which I took the happy advantage of stomping through as I trekked down paths and trails. The silence of the forest felt like it was holding it’s breath in anticipation of the first major frost to welcome it into winter. Love me some birch and conifers! Likely because those are two of the maybe seven, on a good day, tree-related words I know. Although the upper trails provided almost complete silence among the mountaintops, the first thing I noticed every time I threw open my door on the lower stretches of the highway was the sound of water on the move. It’s like a homing beacon, making me that much more excited to rush down the leaf-covered slopes to get to the banks. Earlier in the day, I’ll admit I thought about dipping my hands in but couldn’t find any good rocks while I was still bold enough to face that temperature change. Later on, when I got to the better shores, I was much too cold for that. I hopped in and out of the car so frequently that sometimes I hadn’t fully warmed up yet by the time I reached the next stopping point, so my heaters and I admired the scenery from inside. The best part about this highway is that it starts you low and it seems like a gradual climb until suddenly you round a few curves and you’re on top of the world, looking out to all the neighboring peaks before it winds you back down to the river. That middle mountaintop stretch gets you to Kancamagus Pass, which I’m gonna go ahead and infer to be the highest point of the highway at an elevation of 2,855 ft. It’s all downhill, or rather downmountain, from there. You never really knew what you’d find at the end of the trails leading off the roadside. Sometimes they wound too far into the forest for me to follow and sometimes they led me right back to my favorite banks. Speaking of downmountain, I’ve got a theory. On the western stretch of the Kancamagus you’ve got a dozen little branches and brooks that feed water down from the mountains but for the most part you’re next to Swift River. Standing on the shores and hearing the rush of the water felt like listening to the culmination of a thousand ancient voices. One can only imagine the amount of people who come to these very banks and spill their secrets, whether in conversation with friends and family or to the rocks and ripples themselves. 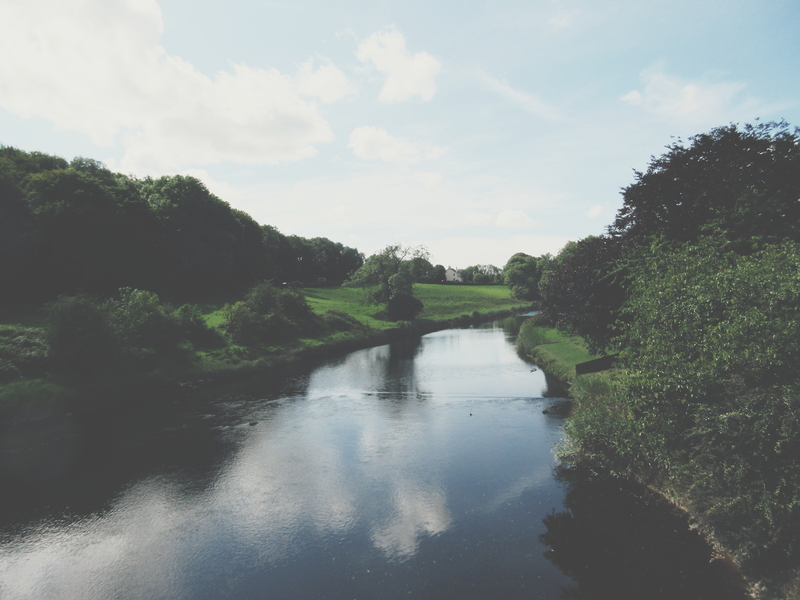 Those words are then carried downstream and hushed back at other visitors, who can’t quite decode them from the language of the river. Spending time on these banks were the parts of the day I had to heartbreakingly tear myself away from. This river has been listening for many years before I came into the world and it’s going to be listening for many years after I leave it. I’ll be back when I’ve got some better stories to tell. Mountains stretching above the clouds is a sight of sights. Makes me miss the floor clouds of South Africa. As I drove the morning away, I watched the little snowflake symbol appear in the corner of the temperature gauge on my dashboard – which dropped into the mid-thirties. Every time I stepped outside I could feel the actual nip of the air on the tips of my fingers and nose, no doubt worsened by having the heat on full blast in the car. Even though my chest was covered in multiple layers, it didn’t matter because this wasn’t that type of chill. It didn’t care to raise goosebumps on my skin; it bit into my bones. Encountering this kind of cold that works from the inside out isn’t something that happens often for me but I could read what it was trying to tell me: that it was only a matter of time. The air had a certain smell to it, a certain feeling that every New Englander is born knowing – the harbinger of snow. The Conway side of the road signaled the end of the highway, and thus my turning back point. As I started the return journey to Lincoln, the 3 ft tall metal reflector poles that line the roadside caught my eye. Large sticks, probably over 6 ft in height, were tied to the tops of each metal pole. “For what possible reason?” I thought to myself. To be honest, the sticks had an eery Blair Witch Project feel to them, but after a few more miles it hit me that maybe, just maybe, they get over 3 ft of snow in these parts and so the sticks are there as a backup for drifts so drivers can still see the edge of the road! Couple this new knowledge of the sticks with the feeling of the cool air and you’ve got a me driving back wide-eyed, anxiously hoping against hope to see a few flakes fall from the sky before I leave. Spoiler: I didn’t. A terribly upsetting sign to see. Coming home for Thanksgiving break meant time with family, but also time for more of those wonderfully introspective moments. As I said in the beginning of this post, I’ve become more aware of my very short time left in this part of the country. Those childhood memories deserve a chase or two while they’re only a short drive away. The Atlantic Ocean is home to me and I doubt I’ll ever find a place I love more than by it’s side – but isn’t life all about finding the places you want to be in, and the people you want to be with? Is that not why we travel? Now, I’ll be honest. I’m not one to take other people’s suggestions for these types of things. I get instantly skeptical and usually just nod and smile and think to myself “I absolutely have to go where I want to go, thank you very much” (but that’s because I’m inherently a grumpy old witch just waiting to retire to my creaky house on the hill). But I took the bait. 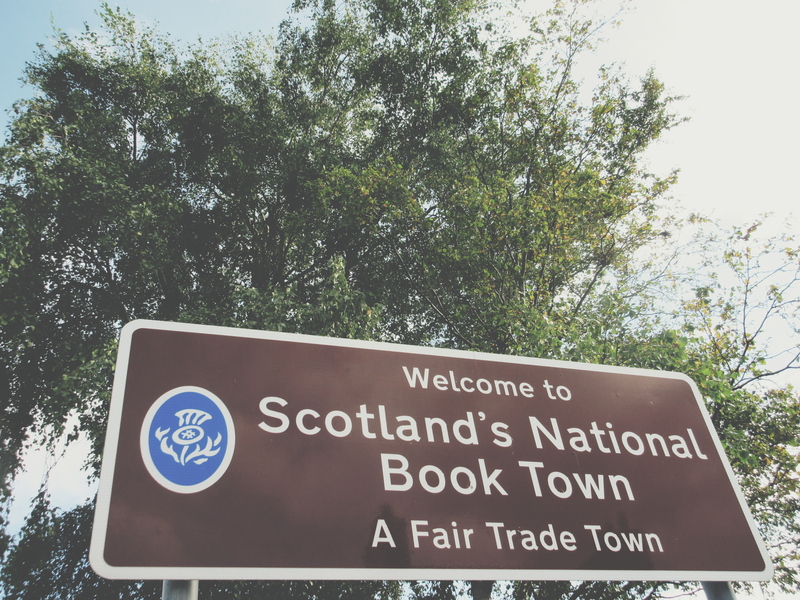 I listened as my now very dear friend told me more and more about Scotland’s National Book Town and by the time we got back to Cambridge she had convinced me. 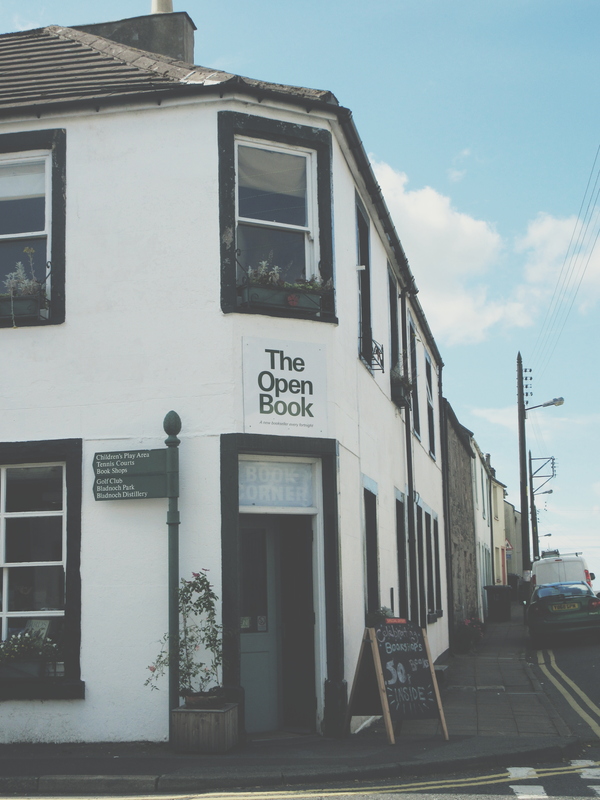 I resolved that at the end of August I would make a voyage out of Wigtown. Getting to Wigtown is not easy. It’s in a southern region of Scotland (think way southern, like practically England southern) known as Dumfries and Galloway. To get there you have to take a train, or as I found sometimes two, and two buses. I like adventure and all but no way was I going to drive myself there. So a family friend dropped me off at Glasgow Central at 9am and I set off on a train with no more than 15 people on it for a little town called Barrhill. According to Google Maps this was called ‘Cross Water.’ It feeds into the Duisk River. Don’t ask me how to pronounce that. When I say ‘little’ I am not exaggerating. This place was a 10-house town and I was the only one getting off the train for it. Thankfully the people in the UK are very nice and willing to help an American girl who is clearly far from home and her mind for coming to a place like this. With some direction from the locals, I stumbled my way down a winding abandoned road to get in to the village and find my bus stop. I had quite some time to wait before the bus actually came so I sat next to a little burn (aka stream) to bide my time with reading and laughing at the overall hilarity of this journey. I had never been to a smaller town in my entire life, and here I was doing it for the first time all on my own. I kind of wished I had a travel buddy so we could walk around saying “Are you seeing this?? ?” to each other – but I’ll settle for having you, my dear reader. 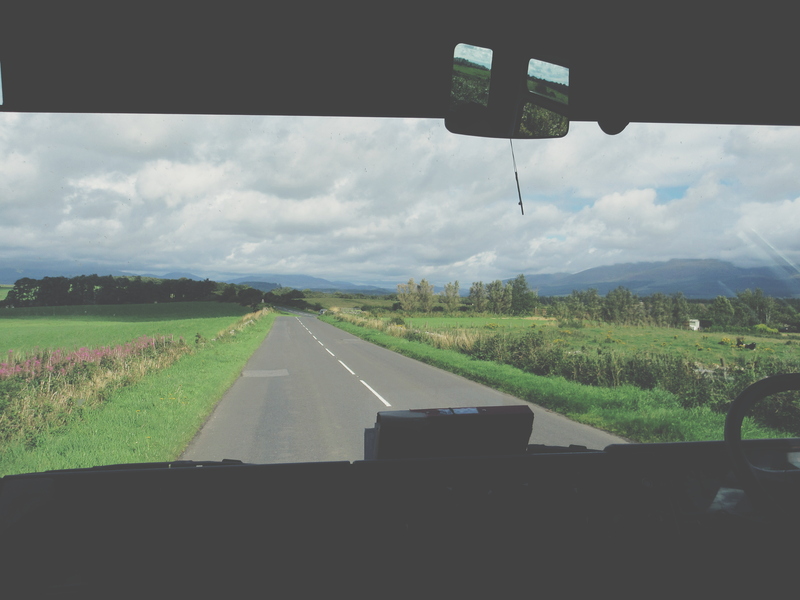 The views from the bus rides were unreal. My neck hurt from swiveling back and forth the whole time to take it all in. The bus to Newton Stewart finally arrived and I boarded to find I was only the second passenger. It remained that way for the next 45 minutes in to town. The driver and elderly woman (passenger #1) chatted away while I sat laughing to myself in the corner. Seriously! I felt like I was in the Twilight Zone. Once I got to Newtown Stewart it was just a switch over to the final bus that carried me on to Wigtown (there were a total of 3(!) people on this one). Upon arrival in the National Book Town, I took advantage of the unusually beautiful Scottish weather and went out to walk around a bit. I could tell that this was the type of place most people could crush through in a quick day trip, which meant it would be perfect for my leisurely exploration over the next two days. Huge emphasis on the leisurely. Note: this voyage was by no means meant to be action packed. I was there to shop for books, yes so action-filled, but also to relax and recharge and have time to myself before heading off to America and thus back to school. I needed a few days to laze around as much as my little heart desired so what I’m trying to say here is don’t expect any pictures of cliff-jumping in this post. Okay, back to it. Rolled out of bed late Tuesday morning and decided I deserved some cake for breakfast. After stopping by one of the darling little cafes, I hit up my first bookshop right across the street. I discovered The Open Book was run by a woman from Lexington, Massachusetts! Imagine my surprise, you can’t, at finding a person from my home region tucked into the middle-of-nowhere, Scotland. We chatted for a bit about how to combine my soon-to-be-had Finance degree with the wonderful world of publishing. 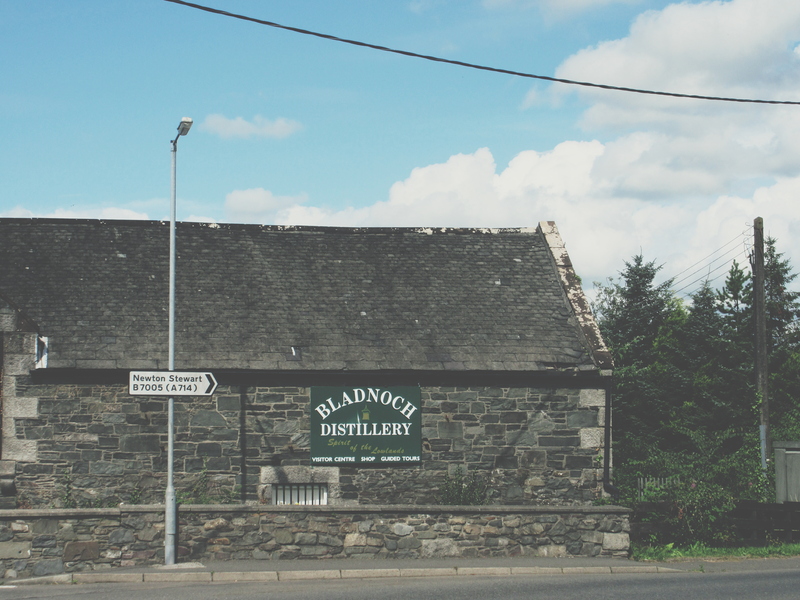 Scored a few books here and then decided on the brilliant idea to make the walk a mile out of town to visit the Bladnoch Distillery and a sci-fi/fantasy bookshop. 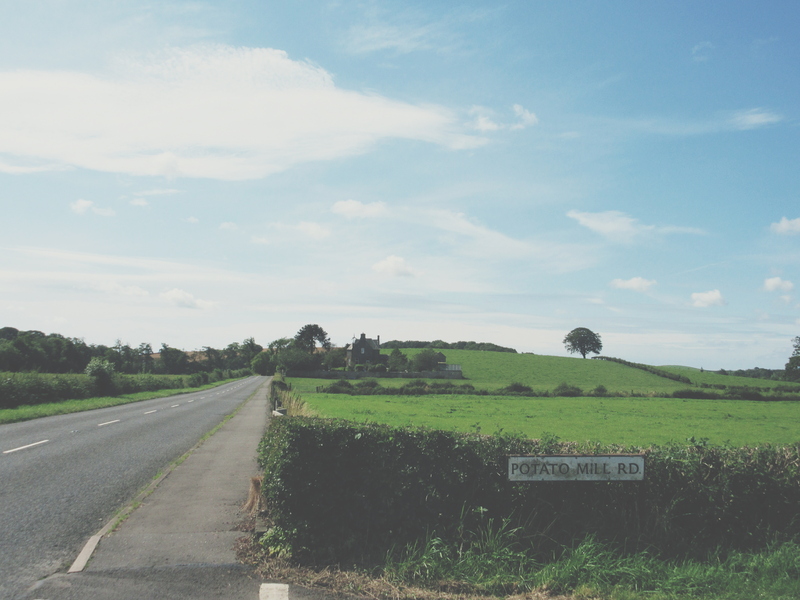 Desperately wanted to steal this sign, but I’ll settle for moving back to live on this road. Unfortunately, I found both were closed down but it wasn’t for nothing. I had quite the time walking out on the thinest sidewalks I’d ever seen and back on no sidewalks at all. I took two different roads there and back – both of which were very fast-going highway type things on which I happened to be the only foot traveller… more laughing to myself ensued. After I made it back into town without being mowed down by a cattle truck, I stopped for some lunch to reenergize for the rest of my bookshop tour. This was where the serious shopping began. I strolled my way through seven different second-hand shops throughout the course of the day and ended up splayed across my bed clutching my new books with tears of joy. Then I crawled into bed to watch Coronation Street reruns, my fave. Reading Lasses makes the best mac & cheese AND trivia team name. Byre Books was tucked down this hugely overgrown path. Made me feel like I was walking right into a fairytale. On my pack-up-and-go-home day I started to feel the weight of the fact that I had been abroad for 2 whole months and the travel ahead of me back to Glasgow wasn’t even the last I had to do before I could finally settle in and stop moving about for a while. In fact, my trip home to the States wasn’t even going to be the end of it. My exhaustion at the mere thought of all this coaxed me into spending my morning reading and drinking tea and eating scones – which I tried for the first time on this trip and learned that I LOVE! Why don’t people eat more scones? 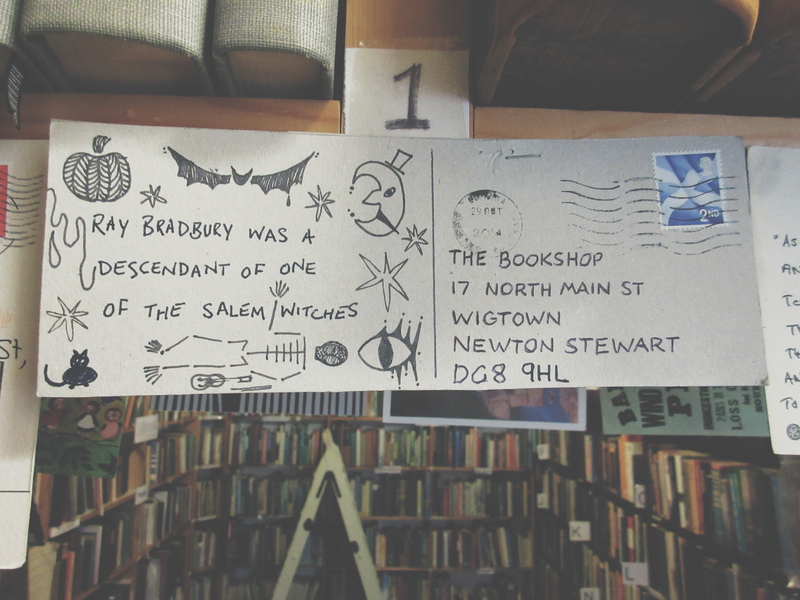 So many things about this postcard are my favorite and I practically fainted after reading it. Counting down the days until Autumn hits and its time to go back to Salem. 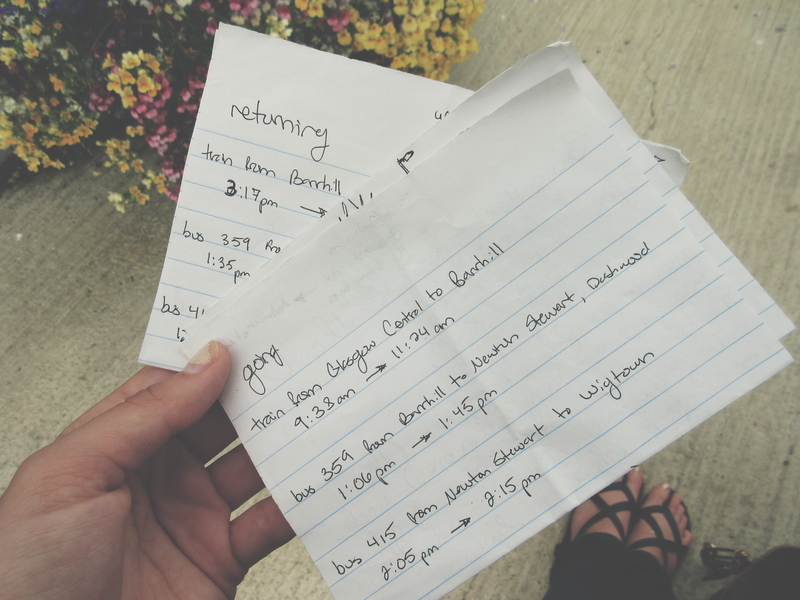 All of my traveling directions were written on the backs of little slips of paper with the names and addresses of all my relatives in Scotland on them. Guess who left those directions at Reading Lasses when I finally accepted the fact that my trip was over and it was time to head out for the bus? To revisit that whole nice-people-in-the-UK point, one of the waitresses tracked me down at the bus stop and gave the papers back to me just before I realized they were gone. Those trusty little slips of paper got me pretty far! Who says you need a Google-Maps-equipped-cellphone to have a good time? 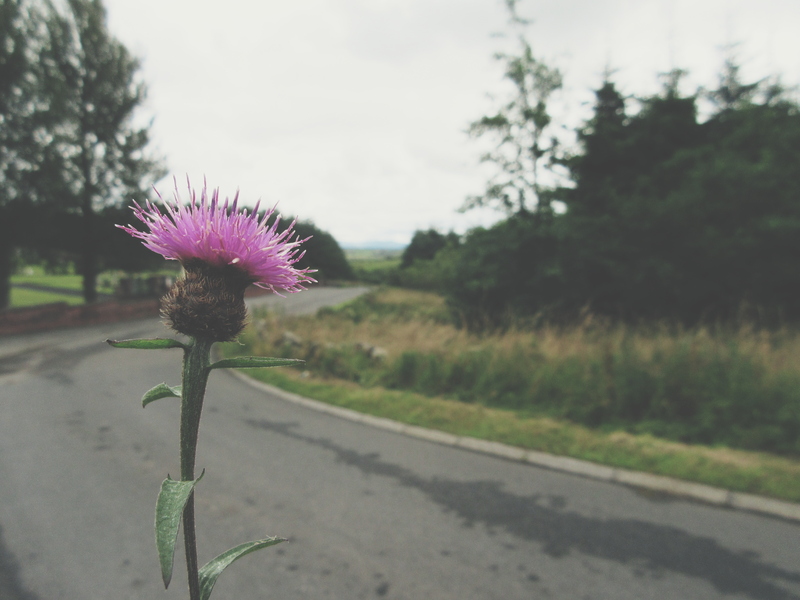 The travel back to Glasgow felt long and exhausting but when I finally stumbled off the train with a backpack full of books and pockets full of mint humbugs, into the arms of my beloved family friends, it finally hit me that my time in the UK was officially up. My study abroad in Cambridge had finished, my adventures off in the lowlands of Scotland were done, and it was time to finally go home. Couldn’t help but sing “Take Me Home, Country Roads” with a view like this on the walk back up to the Barrhill train station. Thankfully, I had a beautifully illustrated copy of Wuthering Heights and the fondest of memories of my summer voyages to keep me company on the trek.